The Pearl Capital Hedged VIX Program (QEP), headed by Tim Jacobson, walked away with a 19% return in February (download performance stats here). We came into early February long VIX and long S&P. I looked at my partners and I told them this was going to be a losing trade. The VIX had already risen to a 15 handle. The market was still above the 50-day [moving average]. [Markets participants] have been conditioned to think that when vol spikes, you fade it. We don’t trade that way – but that’s the way most people trade it. Ever since ’08, you’ve been validated and conditioned to do so. On Feb 5th, when the S&P sold down to the 50 day and held it, the VIX really started to move – and by the close the VIX was up 8 to 9 points. In the last 30 minutes, it doubled to plus 17. Our models anticipated some of those events and we were beneficiaries of it. And that’s why we don’t trade discretionarily. Brett Nelson of Certeza Asset Management’s Macro Vega program was also prepared for the VIX spike, but on days like Feb 5th, the program is designed to exit the trade once a profit threshold is made. We were long vol going into the end of the year. We were looking and questioning how can this short vol trade hold like this? We remained that way, our biggest regret on the long vol trade was that we hit our profit targets at the high 20s – while intraday went into the 50s. We would love to all be able to catch that, but that’s not the way our model works. Adam Butler of Resolve Asset Management, which operates a mutual fund (RDMIX), with a portion of it trading VIX Futures, says this move was rare, with the VIX having an effect on the equity markets instead of vice versa. This is one of these weird situations where the volatility tail wagged the market dog. I don’t think that’s generally the case, but there’s potential given the degree at which volatility is increasing being treated as another asset and another risk premium. I think that was the first time we saw that happen to such a large degree. One day is good and all, but how does a VIX strategy survive over the longer term when the VIX drifts lower and lower as it has the last couple of years? While the VIX spikes offer the media the opportunity to talk the unique market more, VIX managers don’t rely on these days specifically to post returns. Typically, people allocate to managed futures to get that crisis alpha but can be a negative carry trade for years on end, as we have seen. Our model includes an intermediate trend strategy. Our concern is, when the trends change, it will take a while for our medium-term strategy to flip. So, we use the volatility strategy to provide some of the potentials for positive gamma – as a diversifier to the other diversified trend signals. Personally, I think, if you are systematically rooting for the market to go one direction or the other – then you aren’t as diversified as you should be. The whole idea is to put a variety of diversified bets into a portfolio – trying to account for some of those nonlinear outcomes. I’m equally happy for the market to be melting up or for the market to melt down because I feel relatively secure in the portfolio’s diversification. Brett of Certeza says his program is all about probabilities of the market, and the model responding to the environment of the market. The VIX is unique because there is structural alpha – from the statistician point of view. The goal for us is consistency. We are not the fund that is going to blow it out of the water each and every month, but we will be consistent. Our model has filters built in – that try and encourage a three positive and one negative month. So we get a consistent trend higher [past performance is not necessarily indicative of future results]. We are very probabilistic in the way our software and algos approach VIX trades. It can only take a trade that has the right probabilistic expectancy. There are two regimes. There’s high vol and low vol. VIX is bi-modal. The model adjusts into the regime we are in. Not because we are discretionary, but because we can’t trade something that doesn’t exist. The only way to approach the problem is to say what regime we are in at this moment, which can match historical regimes. As soon as the regimes changes, the models change with it. The interesting thing is people try to identify what regime we are going to be in or to expect. When in reality the situation is reversed; We must let the market tell you what regime you are in. Historically, Pearl started out building a multi-manager portfolio for a California based family office. When we built out the portfolio, at the time, we basically had a mixture of CTAs and, on the equity side, had quantitative equity. From a factor perspective, we had a value factor and a trend factor. We understood at the time we needed to have some third factor in the portfolio. The question became where are we going to find it? We didn’t want to go into currencies, because you already have that exposure. Where would we find it? We settled on volatility because it’s a very powerful, diversifying factor. It’s tied to the behavior of the market. People’s fear, complacency, and greed is what drives the volatility market. Volatility is driven by [these] unique factors in the market. The question then becomes how do you package it? We weren’t going to go for a “short-vol” approach because we weren’t going to be able to sleep at night. We weren’t going to go with [pure] “long-vol” [approach] because we wouldn’t be able to eat. So the question became – can we do it in a market neutral way? The answer is yes and our approach has been validated by these data points. It’s a traditional volatility premium strategy. 80%-85% of the time, we are going to have a small allocation to the backmonth short vol contract. Declining vol – with – strong contango – and a hefty premium of implied volatility realized is a great environment for us. It’s such a small sliver of the portfolio on the short side, it doesn’t make a huge difference. But in the long run, it might represent half a percent or one percent a year if it’s working as expected. The real payoff is when things go topsy-turvy and we have more capacity to go long vol. When the implied-to-realized flips, the slope of the term structure flips, the convexity measure flips. There are only two regimes – and 85% of the time, we are harvesting the backmonth short vol – and 15% of the time we are in position on the right side to capture a volatility spike. It’s all systematic – it’s just what the model dictates. Attraction or disillusion to the space? This recent spike in the VIX trade has resulted with many investors swearing off the VIX and volatility market, and it’s causing more institutional style investors a reason to look deeper at where they are getting their returns. Adam Bulter of Resolve Asset Management says the retail money may never come back. The game has changed because the naïve retail investor has been blown up. They have stepped away. It’s the old poker adage, if you’re sitting at the table and you don’t know who the sucker is, then you are probably it. It was easy for a few years – because you knew who the sucker was. The short VIX trade was so popular. It just seemed way too easy. Those suckers are now gun-shy, that easy money will take a while to creep back in if it ever does. Institutions are recognizing that they are profoundly over reliant on equities – whether that’s a pension or endowment. When I say equity—they count private equity as diversified even though it’s very much equity risk. There’s an effort underway to try to diversify away from that risk. But I do think that institutions struggle with how to size the volatility strategy and that may be impeding adoption. Tim Jacobson of Pearl Capital Advisors has similar thoughts, with new retail money shying away from it after getting burned on the short VIX trade. What happened in February was a beautiful thing, but for a lot of VIX investors, who don’t take the time to read up on it, they easily could dismiss the entire space. We’ve had some conversations that have gone down that path – but we’ve seen many conclude how beneficial a tail-risk-like program can be. 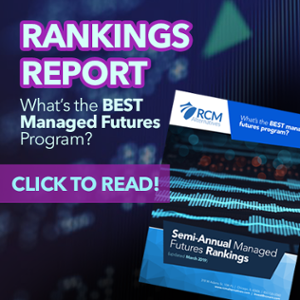 To hear more excerpts from the VIX and Volatility chat with Pearl Capital Advisors, Certeza Asset Management, and Resolve Asset Management, reach out to RCM Alternatives at 855-726-0060 or email us at invest@rcmam.com.